Canada is the world’s second-largest country (and the best educated in the globe, according to the OECD). Additionally, its relatively sparse population and developing economy means it’s also one of the countries most receptive to immigration, with around 250,000 people arriving in Canada to live and work every year. Canada has thriving cities and unparalleled opportunities for residents to get out into nature, making it perfect for expats who want to mix hard work with the great outdoors. If you’re considering moving to Canada for a job, you might need to get a work visa first. Check out this straightforward guide on how to acquire a Canadian work visa, so you can plan your next adventure. Do I need a Canadian work visa? If you’re going to Canada as a business visitor for a short period, or if you’re an artist, member of the clergy, or judiciary, for example, you might not need a visa to work legally. It’s worth reading the fine print when it comes to visa options. The Canadian government website has a form where you can input the work you intend to do and some personal details, and it will quickly inform you if a work visa will be necessary. 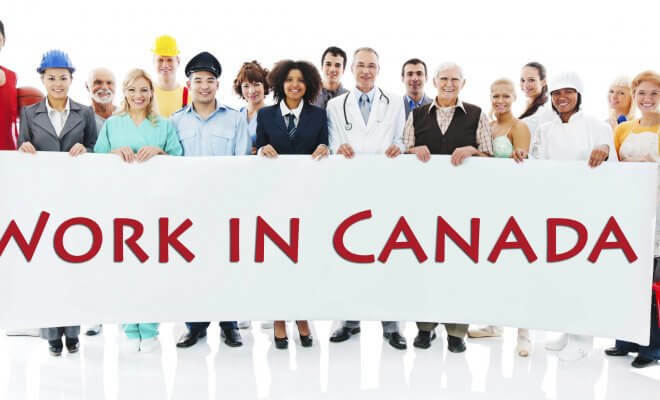 What’s the process to get a Canadian work visa? Under the Canadian system, you’ll also need a separate visa for entry to Canada. Some countries have a visa-free agreement with Canada, but even so, you might have to apply for an electronic travel authorization (e-TA). You can find out if you need an e-TA or a visitor visa on the Canadian border authority’s website. The main exception to this policy is currently made for U.S. citizens who can enter freely, while most other nationalities require some form of authorization to enter the country. Without the right paperwork – even if you have your work visa sorted out – you’ll not be able to board your flight to Canada. You can apply for your work visa online if you have a credit card as well as a scanner or camera for submitting copies of documents. If not, you can apply by snail mail for most visa types instead. The full details of how to apply for a work visa are available on the Canadian Government website. The process you follow will depend on the visa type. An open work permit is one type you can apply for if you fulfill the eligibility criteria. This open visa allows you to apply without having secured a job in advance. If you’ve already been offered a job, you’ll need to get documentation from your prospective employer to support your visa application. Processing times do vary and depend on the type of visa you want and the country you’re applying from. The Canadian Government website provides a processing time estimate for different situations on their website, but on average you can expect it to take several weeks to process your application. There will also be fees involved during this application process and the cost does vary enormously depending on your circumstances. For example, a working holiday visa might cost in the region of CAD 200, while a startup visa with residence can hit CAD 1500. The best way to check is to use the online fee calculator on the Canadian Government website. There are general eligibility requirements you must fulfill regardless of the type of visa that you apply for. These include the fact that you can finance your stay including supporting any family members who accompany you, and that you’ll uphold Canadian law. If you fail any of these criteria you may not be offered a visa or you may have your visa offer revoked. Proof that they have submitted an offer of employment through the employer portal and paid the relevant fees. If you’re applying for an open visa, you don’t need to provide these documents. Whichever visa you’re applying for, you’ll need to create an account on the border authority website. With this account, you can keep an eye on the progress of your application for a work permit, and if you need it, the e-TA. You may need to show a marriage certificate and complete a family information form, depending on your circumstances. When you apply you’ll also have to pay the relevant fee and keep a record of payment to support your application. If you have a student visa, you’re eligible to work without any additional permit for up to 20 hours a week in term time and full time in scheduled breaks. There are some additional criteria, such as the duration of course and type of institution you’re attending, all of which can be found on the Canadian government website. 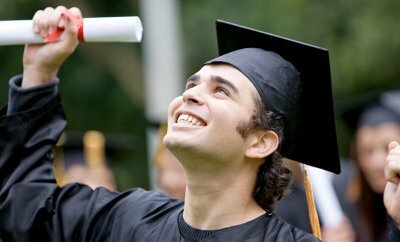 Recent graduates from Canadian educational institutions can apply for an open visa which will allow them to stay and work in Canada after their course has finished. These visas can be issued for up to three years depending on the type of qualification you achieved. If you’re traveling to Canada to work as a seasonal agricultural worker, there’s a specific visa to cover your needs. As long as your employer is properly registered, they can help you to apply under the Seasonal Agricultural Worker Programme (SAWP). It’s worth noting that some short-term work in specialist fields can be done without a specific work visa. This covers artists, performers, sports people or those working in journalism and some advertising positions, for example. Check the Canadian Government website to find a full list of the roles which can be done visa-free. How do I get a Canadian work visa as an entrepreneur? You can get a visa to work in Canada as an entrepreneur following either the startup visa programme or by demonstrating that you’ll provide a valuable service through your business by creating employment and improving the local economy. The startup visa is explained in detail on the Canadian Government website. To get this type of visa, there are conditions applied and you must have an invitation from a registered institution. For either entrepreneurial visa type, you’ll need to submit a self-employed ‘job offer’ to the immigration system to start your application. You’ll then have to pay a 230 CAD administration fee and provide the relevant documents to support your application. This process can be completed online in most circumstances. Once your job offer is processed, additional fees may be applied with a startup visa for someone looking for permanent residence coming in at around 1500 CAD. The exact fee you ’ll pay depends on your circumstances, and a handy visa fee calculator can be found online. How might my Canadian work visa affect my spouse and family members? If you have a valid visa and hold a role which is classified in the National Occupational Classification system as type 0, A or B, then you might be able to have your spouse join you under an open visa, which will also allow them to work freely in Canada. If this is the case, then your spouse will need to provide a letter from your employer confirming your position and proof of your employment in the form of payslips/stubs as part of their application. You can also apply to be a sponsor of family members if you’re a permanent resident of Canada. Do I have my Canadian work visa – what next? The Canadian Government website has lots of information to help you settle in once you arrive. You can find out about accessing language lessons and job boards if you’re coming without a position already secured. There’s also a handy set of FAQs covering all of the usual questions newcomers may have. Next Story → Mark these steps to start your business!